Welcome to Scuba BSA WNY, Dedicated to getting Western New York Boy and Girl Scouts, Venture/Sea Scout crews, and their families into scuba safely, inexpensively, and responsibly. Scuba BSA WNY was created by Scouts and their Leaders to develop Scuba programs that not only created safe scuba diving habits, but kept the scouts and their families diving! All of the programs you will find within this site are open to anyone in scouting, or their family. Contact us at (716)-939-3889 and schedule a presentation for your Troop or Crew. Let Scuba BSA WNY work with your Scouts and help them earn the Scuba Merit Badge or other scout badges/awards. 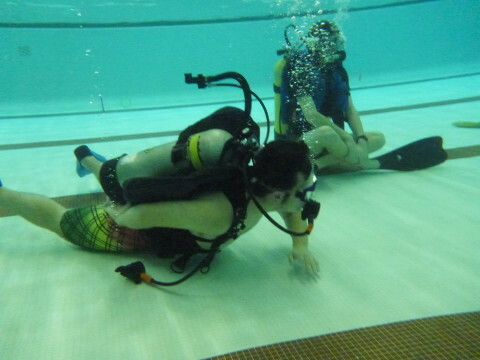 Scuba BSA WNY will even arrange a “try SCUBA” event for your Troop or Crew! Within these pages you will find the descriptions of the programs, links to merit badge programs, and just about everything you can think of relating to scuba…..
A Scuba BSA WNY instructor will come to your troop or crew and explain what a “try scuba” event is along with the Scuba merit badge program. You can find out about our programs and schedule a program. We have a pool available or we can use your local pool. You provide the pool and we will provide the event. The Scuba BSA WNY Program is based upon a continual repetition from the academics, to the pool, and then into the open water. We will spend from 6-8 sessions with your troop or crew to develop good habits and comfort in the water. It is not a “pass or fail” program. Our instructors are Scout Leaders and understand the needs of the Scouts and their families. The program is focused on providing the Knowledge, Skills, Experience, and Equipment that is necessary in the Boy Scouts of America Scuba Merit Badge Program, and to become a safe and competent diver. The program cost covers all of your digital learning materials and your dive log in addition to your personal snorkel equipment to keep! 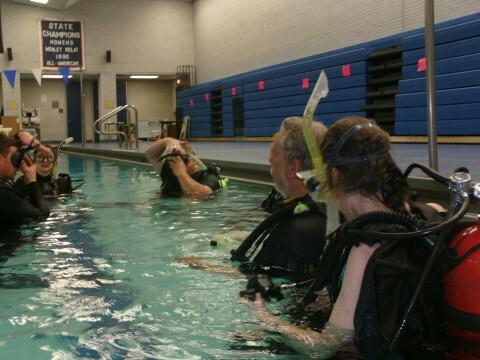 Participants will do 6 academic sessions on line with review sessions conducted by an instructor, either at the Scuba BSA WNY facility or we will come to your troop/crew and do these classes at your meeting place based upon your schedule, This also includes the Boy Scout’s SSI Educational Tools. Your scout will do 6-8 pool and practice sessions to develop skills in a step by step progression encouraging comfort and confidence in the pool then you will do at least 5 dives in the open water with us. One will be snorkeling and the other four will be on Scuba. Scuba BSA WNY provides all of the training equipment for the scouts and their families that are in the Scuba BSA WNY program. Training equipment is here for your use at any time for a BSA Scuba WNY Event!! Scuba BSA WNY has over $20,000 worth of training equipment for your use at Scuba BSA WNY events (based on availability) ! Scuba BSA WNY provides all of the training equipment for the scouts and their families that are in the Scuba BSA WNY program. The problem for most Scouting families is that Scuba can be cost prohibitive. Typically the described equipment could cost nearly $850….well…we have fixed that by including the use of all equipment as a part of the course. Our scuba equipment is here for your use at any time for a BSA Scuba WNY Event. This program is specifically designed to provide the equipment necessary to keep scouts diving. In order to be a safe diver you need to keep diving! To accomplish this, scouts enrolled in our Scuba BSA WNY programs can have free use of SCUBA equipment for all SCUBA BSA WNY events as long as they are registered scouts. This will allow your scouts to be a part of scouting SCUBA events at a minimal cost, All year around. Being an accomplished SCUBA Diver can lead to becoming an oceanographer, marine biologist, or even a professional diver/instructor as a career! Please note: SCUBA BSA WNY is an independent organization and not affiliated with the Boy Scouts of America.